If your drain is constantly giving you problems or there seems to be a lot of damage, it may be time for a drain survey. We have been conducting CCTV drain surveys in Worcester for many years. Using the latest technology, this is an extremely effective method to find the exact location of a blockage in a drain. It saves a lot of time and our team is able to clear the blockage in quickly and efficiently soon as we find the problem. Over time, drain become damaged from wear and tear deep in the system. By choosing Genesis Drainage for you drain surveys in Worcester, we promise to repair the drain swiftly before it becomes any worse. We are a renowned company for our services including our CCTV drain surveys in Worcester and drain unblocking and jetting. By doing a drain survey, you are able to save yourself money that you may spend constantly trying to solve the problem with other methods. With our drain surveys in Worcester, we can find the problem much quicker and effectively find a solution. Genesis Drainage are able to conduct drain surveys for both domestic and commercial premises. So if you are having a problem with your drains in your office or at home, we are able to assist in both situations. Genesis Drainage have been assisting with drainage solutions for over 40 years, we promise that we are a team of experts who love what they do. We have gained ourselves a reputation that we have are all proud of and work hard to conserve. Our team have been trained professionally so your drains are in the hands of member with the skills and tools to solve any issue in no time. We do everything we can to keep our clients happy, by catering to each and every one of their requirements. Genesis believes in a high level of service paired with a price that is affordable and competitive. – Reasonable, Competitive Prices – Our CCTV drain surveys in Worcester and surrounding areas are both affordable and competitive. 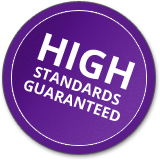 We guarantee you will struggle to find a company that can beat our prices and match our service. – 24/7 Callout Service – For those sudden drain blockages in the middle of the night or on a relaxing Sunday afternoon, you can give us a call using our 24/7 emergency callout service and a team member will be out to help as soon as they can. – 40 Years of Experience – We have over 40 years of experience under our belt, and we from those years we have gained amounts of knowledge of how to handle any problems you may have with your drainage system, give yourself peace of mind and trust us to take care it all. If you need immediate CCTV drain surveys in Worcester, give us a ring now!